Elegua has opened the doors to the opportunities. The Deities/Orisha work with the lights along with my Ancestors to guide me down the correct road at this time and it is up to me to see the signs. 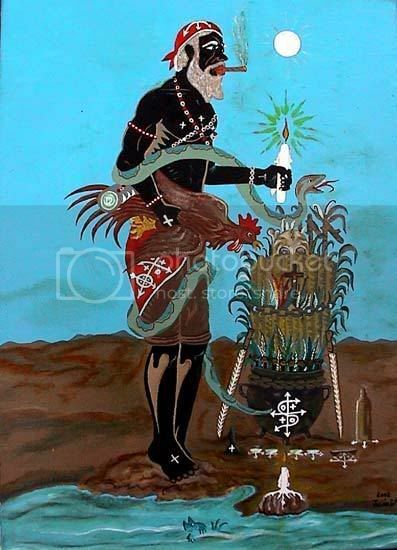 Elegua works with the Candles offered to my Ancestors, Oshun & Yemaya to guide me along my path at this time. The Light is also bringing new opportunities at this time and moving forward existing opportunities. To strengthen the work of the Orisha and My Ancestors is the energy of appreciation and gratitude for the known & unknown Blessings. My actions must reflect appreciation and gratitude and these energies give strength to the Light energy. Libations compliment the energies of the candles, unifying the energies of water and light. Intentions are the driving force. Check your intentions. Negative intentions to control, force or manipulate backfire on the sender in time.